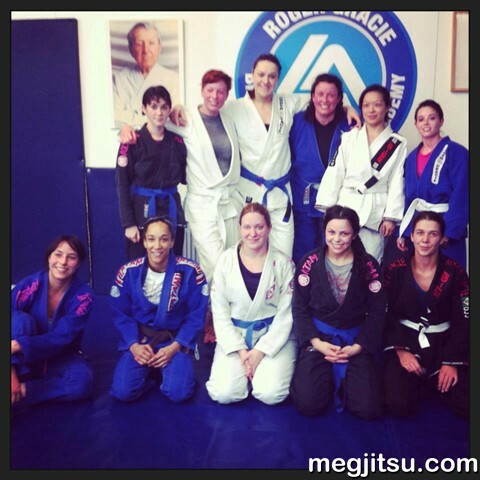 Our Q4 2013 London BJJ Women’s Open Mat will be held on Sunday 1 Dec 2013 and will be hosted by Nina Nilofar, Rebecca Birtwistle and the good people at Roger Gracie Academy. We are pleased to invite women, aged 18 and over, to join our informal session of drilling and sparring. We’re please to note that Yas Wilson, current IBJJF Brown belt Feather-weight World Champion and RGA women’s class instructor, will be on had to guide the session and offer her technical insight and expertise. No grappling experience is required and the Open Mat is a great opportunity for seasoned players to train with other women and for women new to BJJ to try out the art in a friendly environment. The Open Mat is free of charge. Email RGA.ladies@hotmail.com for more info. Any alternative route I can take to get to the Gym???? I am not use to London but I’ll get there by train so quite easily can get lost. I would like some help if possible. So glad you’re joining the event! I just checked the TFL journey planner for this weekend and there doesn’t appear to be planned engineering works for Sunday at Latimer Road – http://www.tfl.gov.uk/. However, it is not my local area of London, so I may not be best placed to help you. I suggest that you email the hosts, on RGA.ladies@hotmail.com with information on where you’re travelling from, and I’m sure they’ll be pleased to help you out.